We were met with Oohs and Aaas from the locals in Manila when we'd told them about our Palawan sojourn, so we were really looking forward to it. Unfortunately (or fortunately), we'd booked ourselves to fly into Puerto Princess, and not El Nino, where apparently the nicer beaches and resorts are found. Nevertheless, we'd made our choice, and PP it was. Still, the typhoon winds and rains were against us, and the main thing we wanted to see in PP was out of reach. The UNESCO listed natural wonder, Puerto Princess Underground River, is accessible only by (a pretty flimsy) boat, and the high, strong waves meant that tourists were unable to visit over a number of days. By the time the waves had calmed down enough for boats to set out, the backlog of visitors meant that there were throngs of people waiting in line for their turn. As the waves were still fairly large, the boats had to move more slowly than usual and this meant that the tours were not moving at their usual pace. After a disappointing 3 hour wait, we were told that it would not be possible to make it onto a boat. 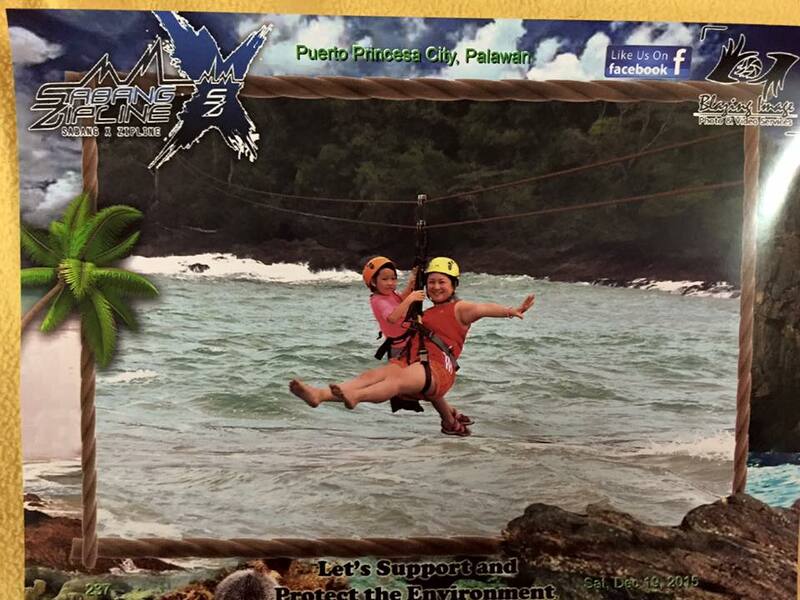 Not to be deterred, we left the dock and headed for some ziplines close by, including one that zips across the sea! 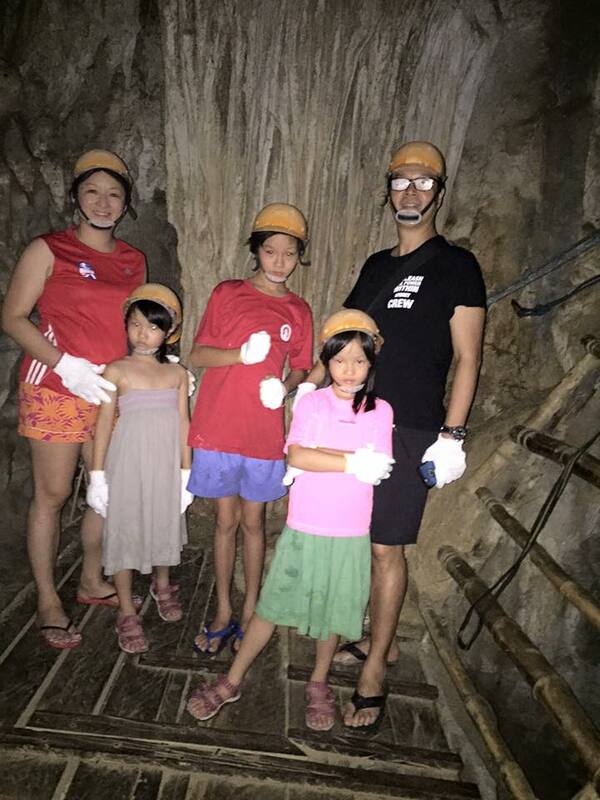 We also did some caving, where we climbed through the inside of Ugong Rock, to take the Zipline across the padi field below. One of the highlights of our stay at PP was the peculiar resort called Deep Forest Garden Inn that we booked through Booking.com. Conveniently set close to the airport, the owner, a Swiss gentleman, decorated the Inn with very colourful and varied animals and figurines. While the deco was a little weird, we did meet a wonderful family there: Nish, Steeve and Johan; and the kids had loads of fun. The food wasn't too bad either!